Keith Wilson is Kipp & Zonen’s Scientist within the R&D department dedicated to the Brewer spectrophotometer, LAS (Large Aperture Scintilometer) and other complex meteorological instruments. He represents Kipp & Zonen in the EUBrewNet project and Brewer community, and at international conferences where he is also triggered with new ideas for novel applications, new instruments or improved reference standards. With well over 20 years of experience in instrument development and research in the field of atmospheric measurements and climate, Keith has been involved in diverse field measurements such as trace gases in the troposphere measured on aircraft, solar radiation interacting with snow or clouds, pollution from poultry and vehicles, and remote sensing from the ground, such as with the state-of-the-art Raman LIDAR Caeli at KNMI. At Kipp & Zonen he has established a reference instrument set up for LAS calibration, that can also give insight into the urban heat island effect above Delft. As an active member of the EUBrewNet he contributes to biannual workshops hosted by the EUBrewNet members, and instrument improvements to better the measurements and science made with the Brewer. Keith received his PhD and a short postdoc at Imperial College of Science, Technology and Medicine at Silwood Park, in England. His Thesis was entitled: ‘Use and development of tunable diode laser instrumentation for atmospheric measurements’. 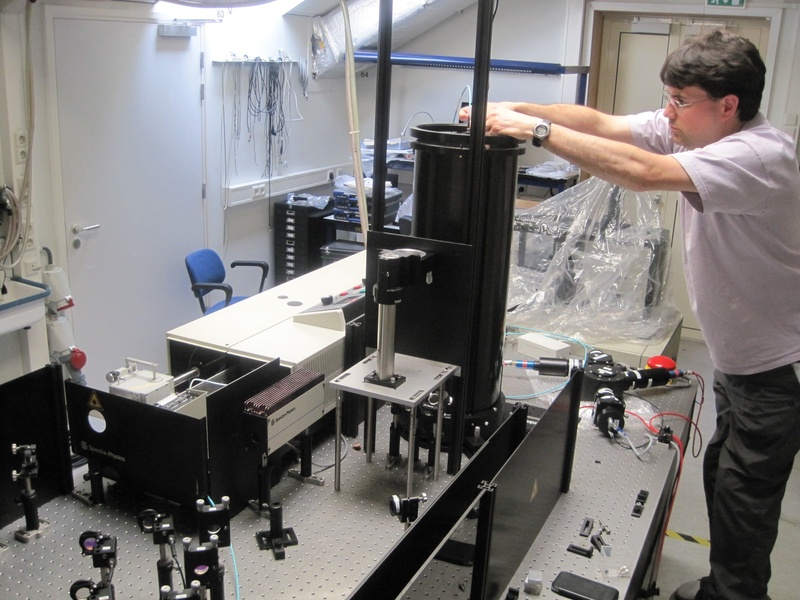 During this research he employed two different tunable diode laser absorption spectroscopy (TDLAS) instruments in field campaigns, and was involved in the design and construction of a new four channel TDLAS system. This instrument is capable of fast, highly sensitive and simultaneous measurements of four atmospheric trace species on a tropospheric or stratospheric research aircraft. Prior to this PhD he initially studied physics at Imperial College in London, and then worked for 3 years in the Plasma Physics Group, Imperial College, on the MAGPIE (Mega Ampere Generator for Plasma Implosion Experiments) Project, a 2 Terrawatt dense Z-pinch generator. This machine investigated plasmas, ionised matter, in extreme conditions, hotter and denser than in the centre of the sun, by imploding fibres of carbon, CD2 or cryogenic hydrogen.